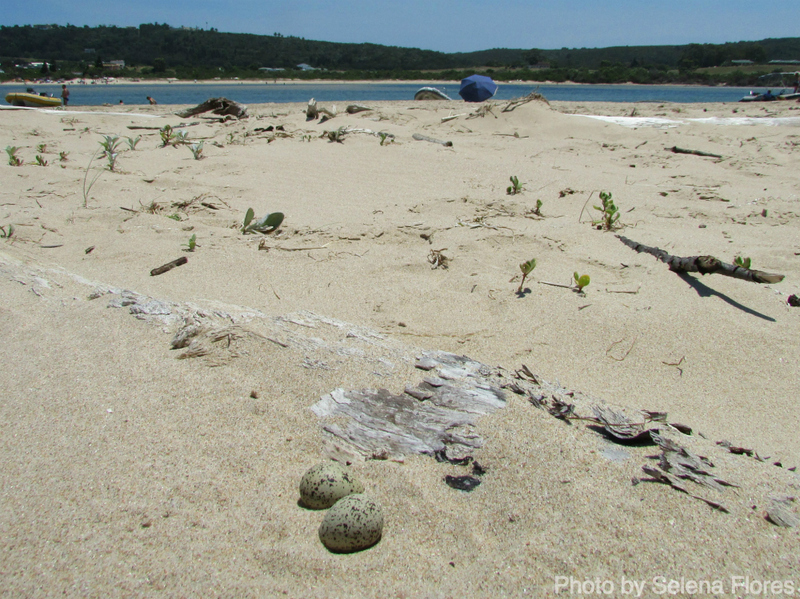 Wader Quest: The Garden Route Shorebird Conservation project update. 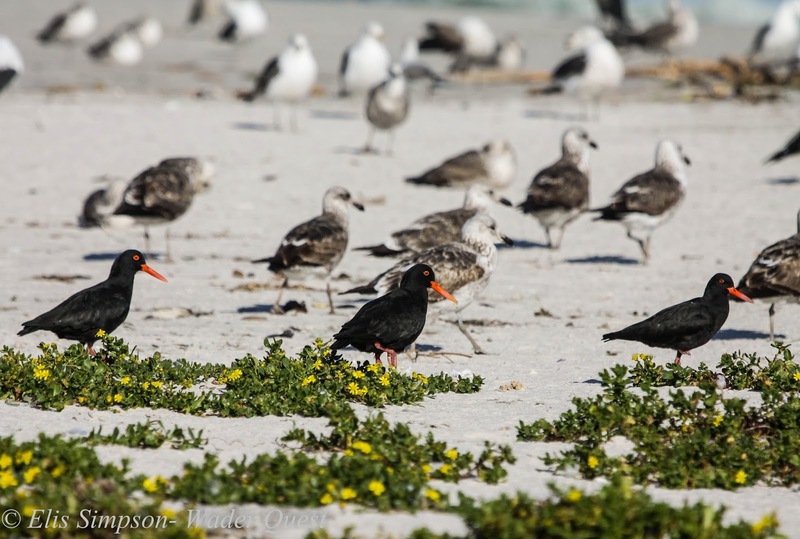 The Garden Route Shorebird Conservation project update. 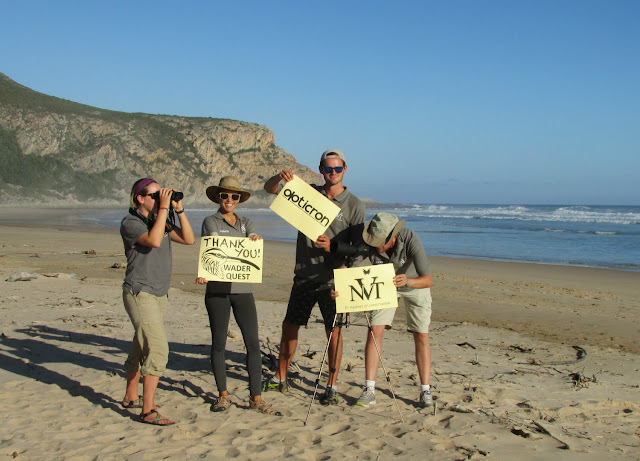 The Garden Route Shorebird Conservation project is well into it's second field season, with a multitude of international intern participants working alongside project manager Selena Flores and Nature's Valley Trust director Dr. Mark Brown. 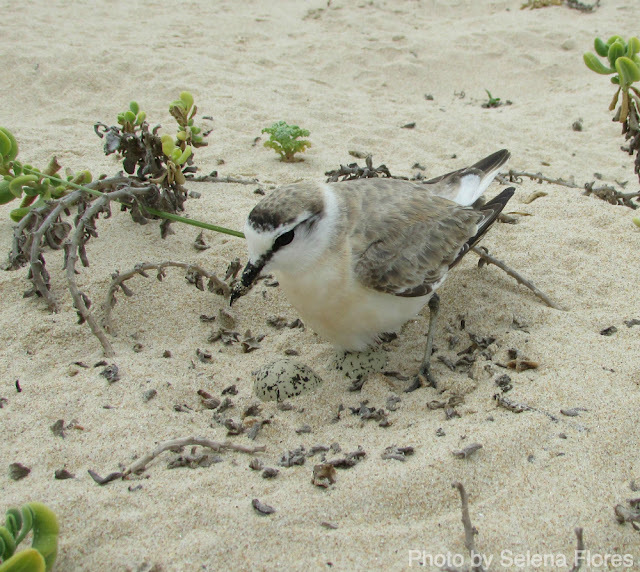 As of late January, there have been nearly 80 White-fronted Plover nesting attempts from 40 pairs on beaches in the Greater Plettenberg Bay region of South Africa's Western Cape. Some of the plovers have become habituated to the researchers, particularly Selena Flores. This male came and sat on the nest just as Selena finished checking the eggs. He was then caught, using only bare hands, to be ringed! 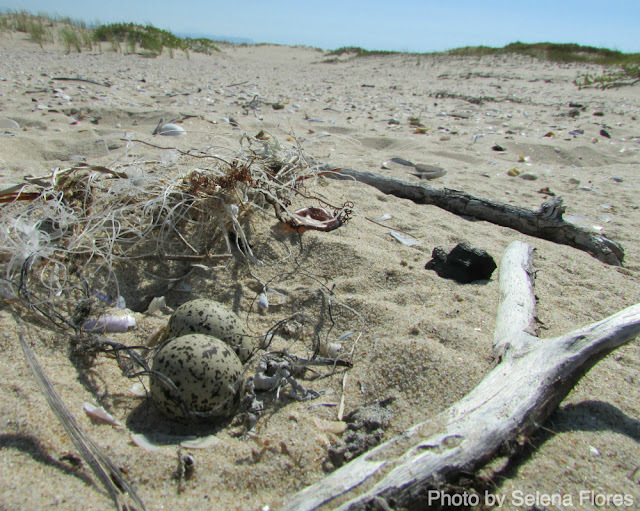 Only a small number of nests have survived, however, with a mere 6 chicks having fledged thus far across the 25km of field sites. Though these numbers are quite bleak, they do highlight the continued need for research of this nature. 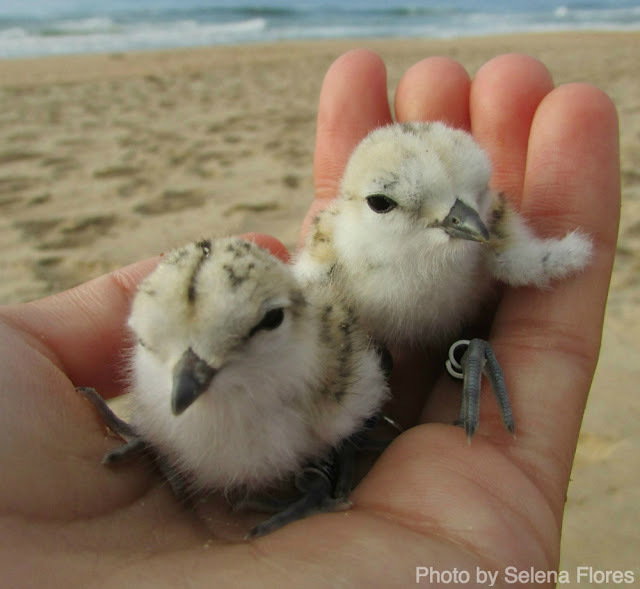 Adorable White-fronted Plover chicks, a mere two days old. 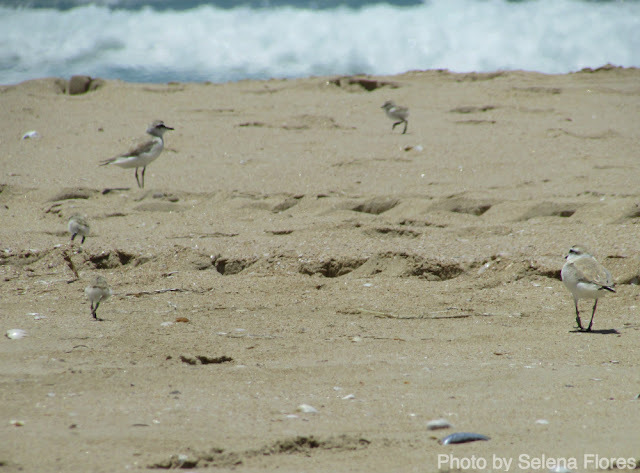 It will be paramount to devise and implement appropriate, effective conservation measures to strike a balance between the coastal tourism activity that sustains the economy of the area, while also ensuring adequate productivity of shorebirds in the area. The research team has been gathering an immense amount of useful data over an intense field season, that will surely inform various facets of the project, from baseline breeding ecology of White-fronted Plovers, to the best approach for a planned conservation awareness and intervention programme in the coming years. Eggs are weighed and floated during the course of incubation, to determine if they are still viable and progressing properly through development. Heat exposure is a big risk with ground-nesting shorebirds on heavily disturbed beaches, with eggs found to reach temperatures above 50C in less than 20 minutes! 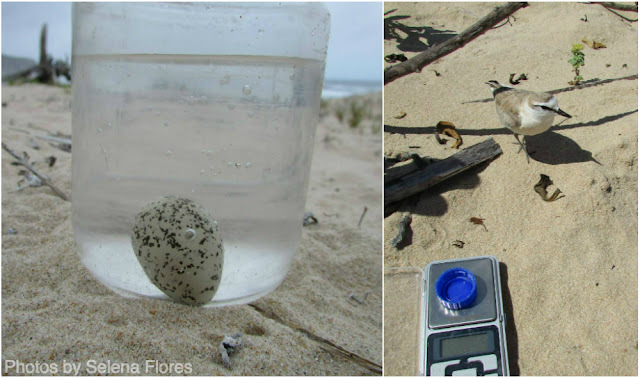 This egg is nearly halfway through incubation, and the voracious female was very interested in what the researchers were doing with her eggs. 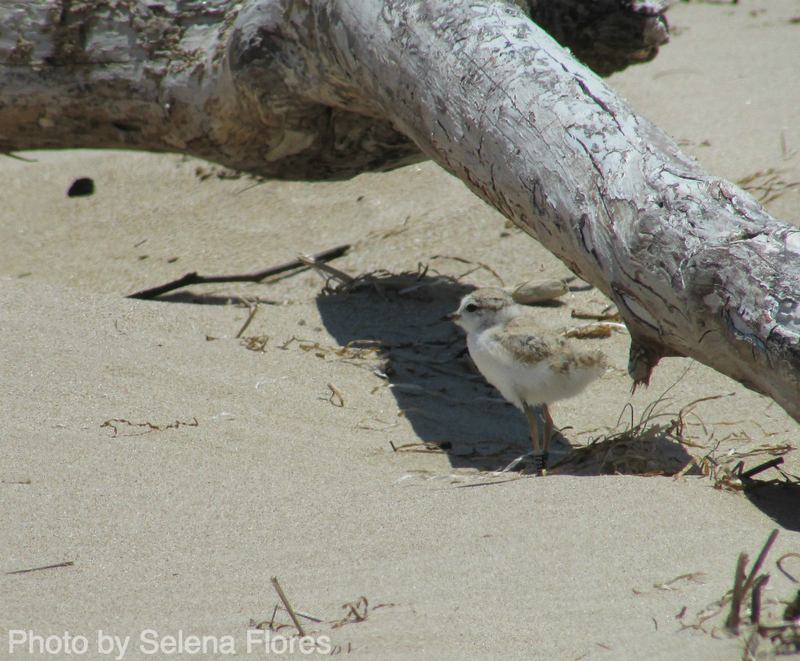 For more information, "Like" the Nature's Valley Trust on Facebook, or contact selenaflores@gmail.com. If you'd like to make a much needed and appreciated contribution to this project, please go to:http://www.gofundme.com/ShareTheShores. 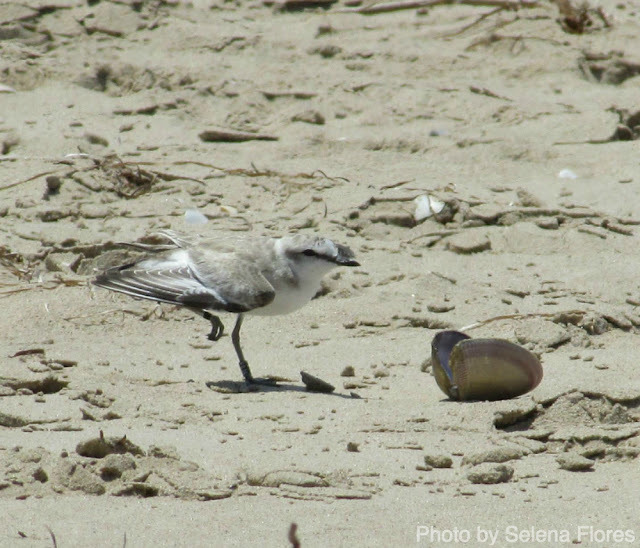 During peak breeding season, field sites experience a wide range of activity. Many nests, little chicks, big chicks (like this one), fledglings, and loafing non-breeding floaters all share the same beaches! A rare 3-chick brood running back to their parents after being ringed. You can see why they are so difficult to spot! 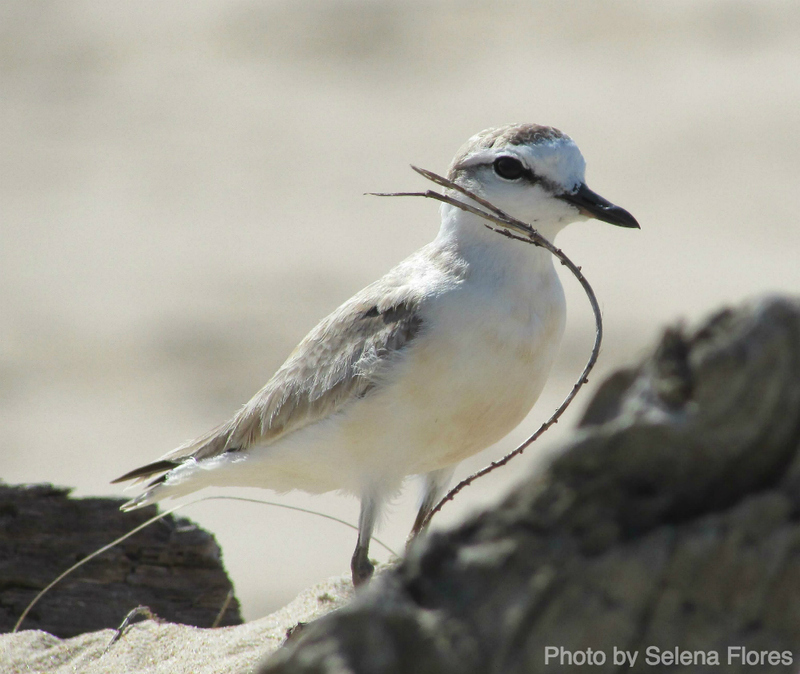 Disturbance is not the only human-related risk these shorebirds face. This nest was laid near a large tangle of discarded fishing line; there have been several instances of plover entanglements this season. Many adults and chicks have been ringed this season, creating a great study population that can be easily re-sighted and identified by researchers, birders, and the public alike! This adult female with a yellow colour ring is affectionately called "Taryn," after the boat she would usually nest near. 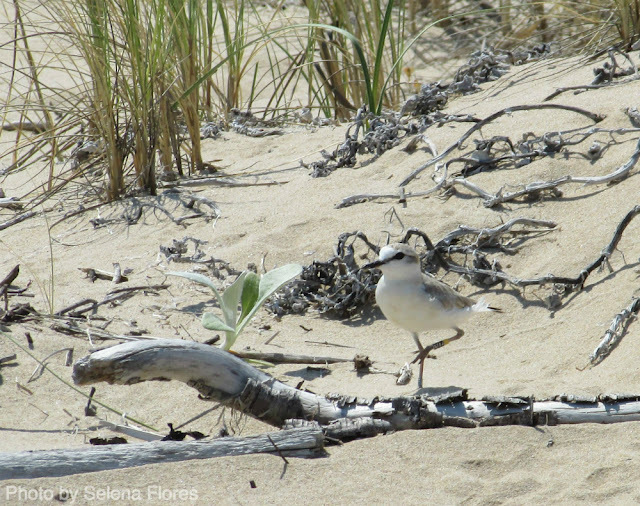 Last year Wader quest teamed up with Opticron to supply some optics for use on the Nature's Valley Trust project that is looking at the effect of human disturbance on beach nesting birds. The birds that are the subject of this study are White-fronted Plover and African Black Oystercatcher. We receive thanks from the projects that we support in a variety of ways, but this has to be the most imaginative so far!